The team led by Michael Schlatter at GDC are excellent. I have been seeing them for over 15 years now and trust them completely. I have a great smile at an affordable price. I have seen them 5 times in 15 years and have no problems and initially I had a lot of crown-work done; thereafter, one root canal and a few checkups. 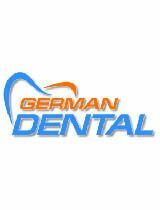 I only trust my dentist in Melbourne to clean my teeth and do the occasional Xray, otherwise I always see German Dental. So a heartfelt to Michael, Jenny and the team of kind, happy staff. Thankyou for being one of the BEST. cheers Angelica Geiger Melbourne Australia Last treatment in November, 2009.